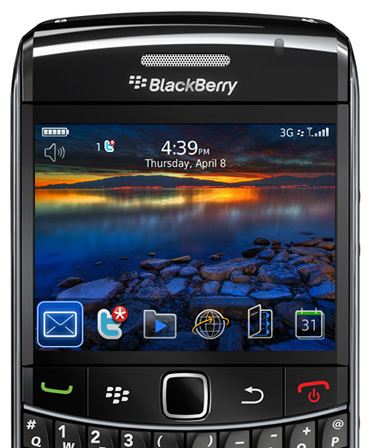 There has never been a more exciting time in the mobile industry than right now. The speed at which devices, applications, and networks are evolving is inspiring. Thankfully, Twitter is perfectly suited to take advantage of all this goodness because of our mobile DNA and the service being designed for quick consumption of information and capturing Tweetable moments. 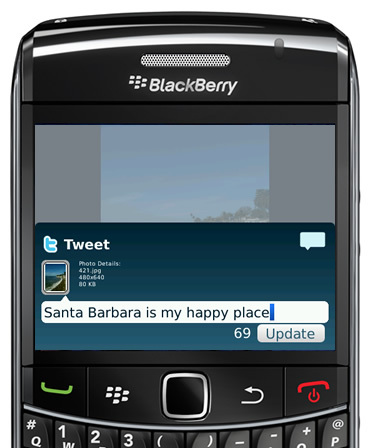 Twitter is a messaging service that connects people to real-time information all over the world. 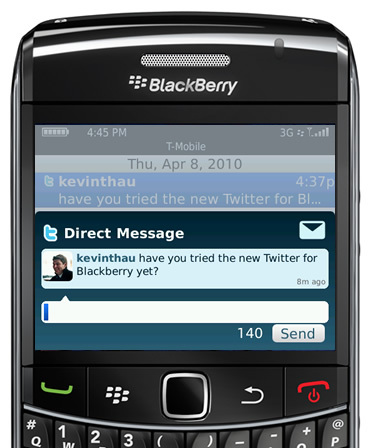 When you talk about messaging and mobile phones, BlackBerry immediately comes to mind and it was no surprise to us that it has become one of the most popular mobile platforms for Twitter around the world. Today we are excited to announce that RIM has launched the Twitter for BlackBerry app and can be downloaded for free at blackberry.com/twitter. 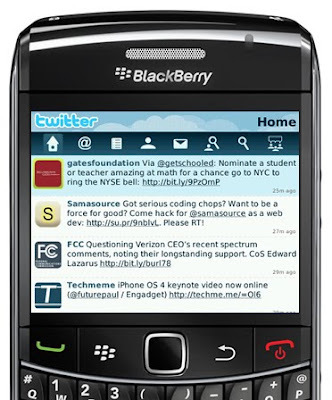 Working closely with RIM to deliver the official Twitter app has been a great experience and we are looking forward to bringing more and more Twitter innovation to BlackBerry.